A Spanish cardinal is under fire for issuing warnings about a “gay empire” and denouncing the perils of “gender theory” in a recent homily, with pro-LGBT associations threatening to sue him for being homophobic, reports Crux. Spain, generally considered one of the most gay-friendly nations, has had anti-discrimination laws, including penalties for “hate speech,” since 1996. Defenders of Cardinal Antonio Cañizares of Valencia, however, are quoting Pope Francis’ latest document on the family, which also defends traditional marriage and criticises gender theory, with the unspoken implication apparently being that if the Spanish prelate is “homophobic,” then so is the Pope. Cardinal Cañizares, who formerly served as the Vatican’s top official for Catholic liturgy, delivered a homily on May 13 at the local Catholic university for the closing Mass of the school year at the John Paul II Institute, dedicated to the family. 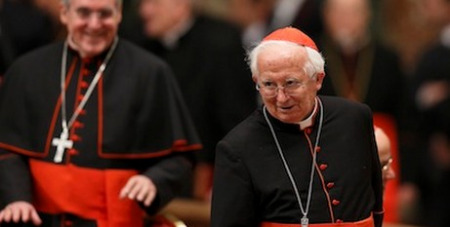 In his remarks, titled In defence and support of the family, Cardinal Cañizares said “the future of society is played out” in the family, and, because of that, it’s become a target. “On the one hand, it’s the most valued, at least in the polls and even among young people, social institution, but it’s shaken to its foundations by serious, clear or subtle, threats,” he said. “The family is haunted today, in our culture, by an endless threat of serious difficulties, and this is not hidden from anyone,” the Cardinal continued. “Gender theory” is a somewhat obscure term, but in Catholic parlance it’s used to describe the ideas of scientists and cultural critics who regard differences between men and women as socially constructed rather than given in nature. Some gender theorists say that people should be able to identify as male, female, in-between, neither, or both, and discourage the stereotypical gender-based divisions, such as dolls for girls and trucks for boys. Pope Francis is among its critics.